We all can benefit from more efficient vision. Those who use their near vision a great deal at work or school such as those that spend many hours every day on a computer, reading small print, examining small objects, ect. Will I have to do vision therapy forever? No. Once your eye muscles and visual system have been reeducated, they remember their new skills and automatically use them all the time. 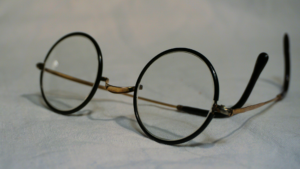 Can I wear glasses to avoid vision therapy? Usually, no. This is not a seeing or eyesight problem, but an eye muscle problem –a problem controlling the eye muscles that usually can’t be helped by eyeglasses alone. It’s a condition recognized by the American Optometric Association that affects users of computer monitors and causes eye strain symptoms, such as blurred vision, dry or burning eyes, delayed focusing and headaches. It can arise from failure of the eye muscles to work properly. Vision Therapy is a highly effective non-surgical treatment for many common visual problems such as lazy eye (amblyopia), crossed eyes (strabismus), double vision, convergence insufficiency and many reading and learning disabilities. Many patients who have been told, “it’s too late” or “you’ll have to learn to live with it” have benefited from vision therapy. Eyes that are too tired to read after dinner, feeling sleepy when reading, reading too slowly and afraid to drive at night are just a few of the many reasons adults decide to improve their vision through vision therapy. Feeling eyestrain and the need to do visual exercises is becoming more relevant these days with the dramatic onset of computer use, and overall close-up work required daily for students and professionals. Visual exercises help maintain healthy vision, reduce or eliminate the effects of eyestrain, and ultimately help to preserve eyesight. In the case of learning disabilities and attention problems, vision therapy is specifically directed toward resolving visual problems that interfere with reading, learning and educational instruction. The ability of the eyes to focus clearly and sustain focus on objects of various distance. The aiming of the eyes inward toward an object. The process by which what is seen separately, by each eye, is integrated into a single perception. The learned ability to perceive relative depth– due to each eye having a different vantage point– commonly called 3D vision or depth perception. Is Eye Strain from Binocular Vision Problems related to Learning Difficulties? Often, yes. Children who tire easily from eye muscle problems have a greater workload when reading or using a computer. This additional load may make it harder for them to learn. Read more on our Vision and Learning page. Vision Therapy it is a program of therapeutic activities designed for improving visual function including eye movement coordination, accommodation (eye focusing), binocular fusion (eye teaming) and visualization. It works on the eye-brain connections involved in visual coordination and visual processing and consists of a series of visual, and visual sensory-motor activities of progressive difficulty, performed several times a week until symptoms are resolved and a more efficient visual system is developed. People who have eye muscle problems that cause eye strain symptoms- such as blurred vision, headaches, fatigue, concentration difficulty- including computer vision syndrome and vision-related learning problems as well as people who want to get more done with less energy, less effort, and more efficiency. Our eyes are not made to fixate on two-dimensional written pages or computer screens for hours at a time. Our eyes are more geared for distance vision activities, and the constant demand of near work puts stress on the eyes leading to a less than efficient visual system. How much time do I have to spend doing vision therapy? That depends on how quickly your eye muscles and your visual system can learn the needed skills. A Vision Therapy treatment program can last anywhere from a few months to nearly a year depending on the severity of the vision problem as well as patient motivation and compliance. In most cases, significant benefits can be seen in a less than month. At Nebraska Visual Integration Center we dedicate all of our time in helping patients of all ages with visual issues that impact their lives. We are proud to offer Vision Therapy to the Omaha, Council Bluffs and surrounding metro areas. Please contact our office at (402) 502-0043 or email [email protected] with any questions or to see if an evaluation is necessary to determine if Vision Therapy can help you.